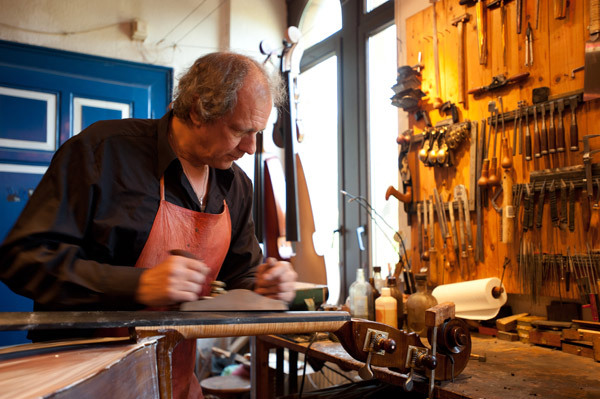 Working with your hand means working with your head. 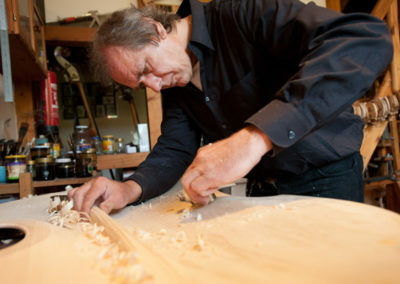 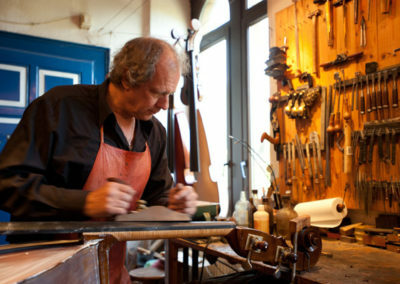 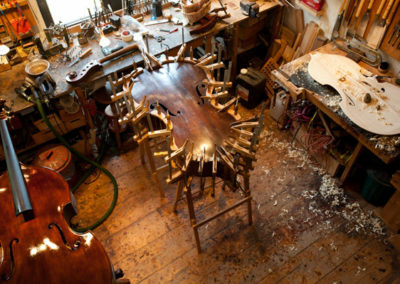 Along with his musical development, Heiner Windelband started to repair his instruments himself and make more and more modifications. First it was guitars, later on mainly double basses. 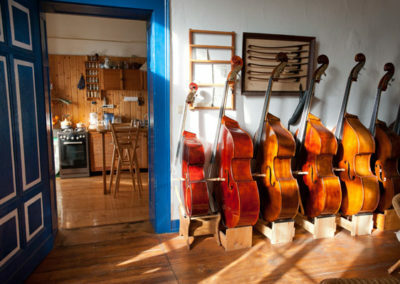 Soon other musicians were enthusiastic about his work and in 1980 already he opened up his music workshop high up in the North of Germany, in Eastern Frisia. 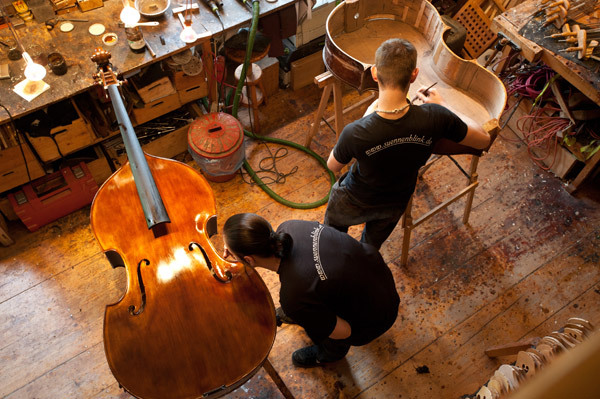 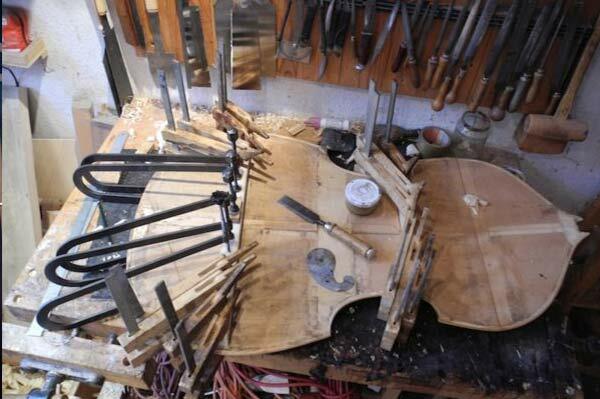 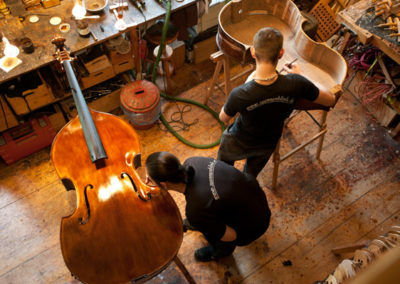 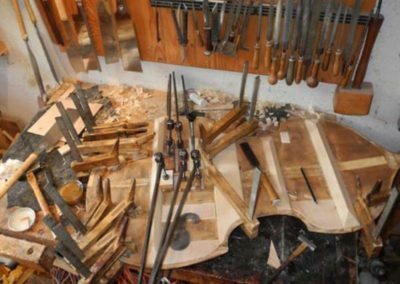 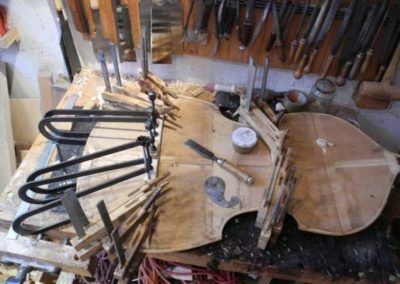 His strong desire to get to the bottom of the secrets of the double bass led to the creation of the special Windelband bridge, as well as the semi-acoustic bass and the “growling tiger“ bass pickup. 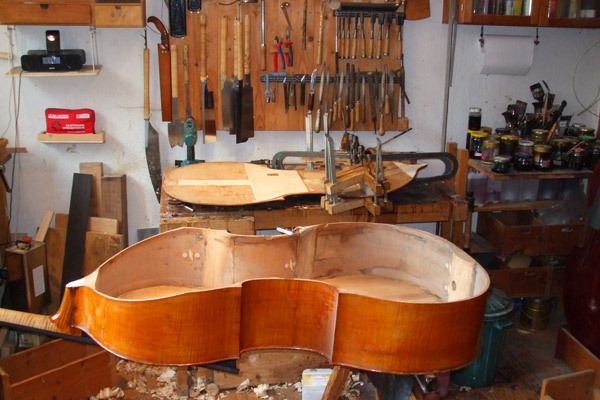 Today all services can be applied to double basses. 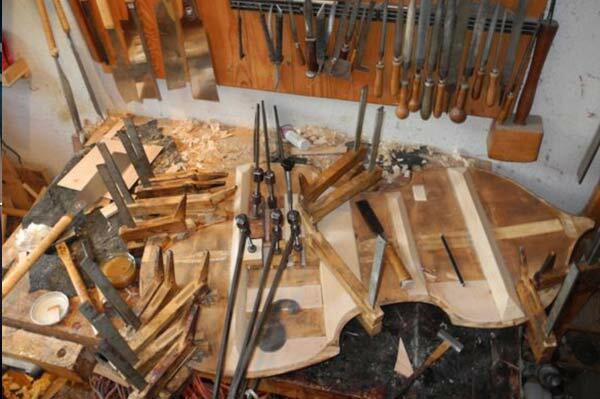 Installing a special “Heiner Windelband“ bridge, sound and response improvements guaranteed. 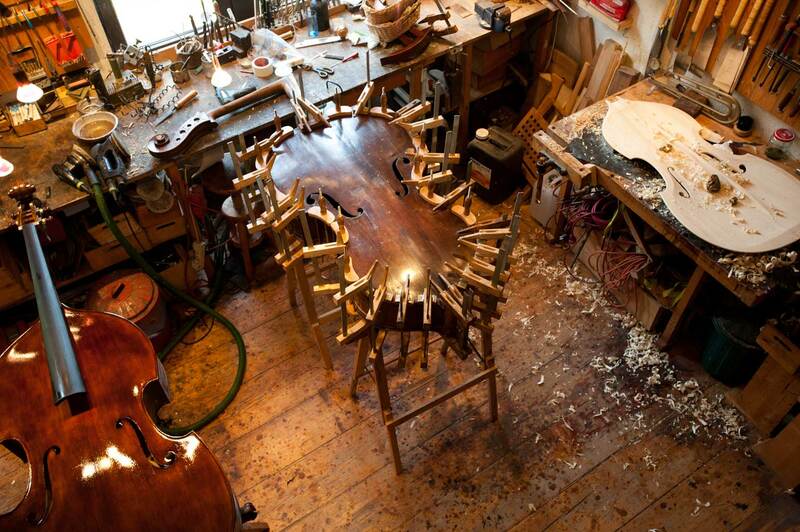 All other work will be charged according to time and work. 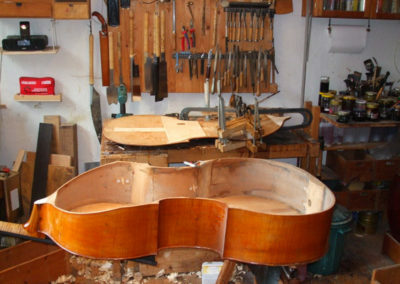 for all setup work: six months.